Crane Flat Campground in Yosemite National Park is a convenient camping spot with many amenities, close to Yosemite Valley and many trailheads offering hiking adventures to see the Giant Sequoias. Book Online. Crane Flat Campground Yosemite is only 20 minutes from Yosemite Valley and is within easy reach of some great hiking. The campsites have picnic tables, fire pits, drinking water. There’s a grocery store and gas station nearby. Crane Flat Yosemite can be reached by driving on Highway 120 eight miles west from the Big Oak Flat Entrance, just past the Tioga Road turnoff. 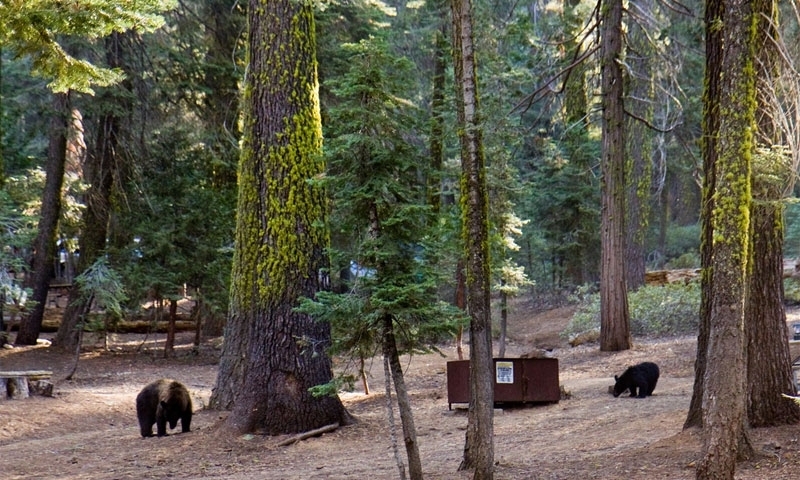 Yosemite Crane Flat requires reservations for half of the campsites while the remainder are first-come, first-served. Call 877-444-6777 or Book Online. Yosemite Crane Flat Campground is within an easy drive to Yosemite Valley and all the sights to see there. But there are other points of interest close by, too. Hiking the 2.5-mile trail to the Tuolumne Grove of Giant Sequoias is an experience you can’t pass up when camping nearby. The trip to the grove is all downhill, but of course, you’ll have to hike back up with an elevation gain of 400 feet. It’s worth it, though, to see these marvelous mature Sequoias, as well as one giant that you can walk through. If you love Giant Sequoias, you’ll love Merced Grove. This 3-mile hike takes you on a smooth and wide trail to an uncrowded spot to enjoy these huge trees. You’ll hike downhill to the grove and back uphill upon your return, with a bit steeper climb than the Tuolumne Grove. But again, it is very much worth the effort. If you need maps, bear canisters or wilderness permits, the Big Oak Flat Information Station is where you need to go. It’s not far from the Crane Flat Campground, making it convenient for your travels. This Information Station is open from May to September.